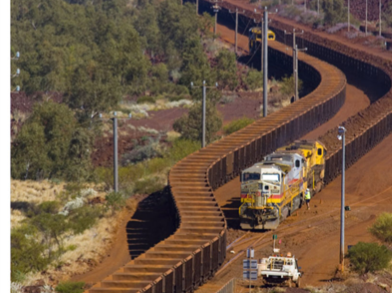 Fortescue Metals Group (FMG) undertook a $US8.4bn expansion program to triple the size of its operations and take it to 155 million tonnes of iron ore per annum by mid 2013. FMG had a triplication of their rolling stock fleet. To meet the demand and the growth in associated maintenance procedures, an expansion of their existing facilities at Rowley Yard, Port Hedland was required. FMG expansion plans ceased during the global financial crisis. As a result, the study and execution of their ambitious plans ground to a halt. Calibre Rail’s role as EPCM contractor was to take these preliminary studies and upgrade the mainline, which started in late 2010. With construction commencing on the other elements of the mainline (such as the triplication of the load-out loop, a new fuel facility and duplication of the mainline), there was little time to investigate the issues associated with Rowley Yard. A few of the issues faced include: - Earthworks modelling of both sub-grade and capping layer - Drainage issues and tying into the existing network - Service clashes - Development of a staged approach to the construction of the yard to minimise disruption. 20 options were investigated using the powerful ‘element method’ tools within 12d Model’s Super Alignment, with the turnout placement function providing a quick and effective method to arrange track layouts. Storm water drainage design was developed in 12d Model. Three options were investigated, limiting pipe sizes to 900, 1200 & 1500(mm). A cost/benefit analysis was completed that compared pit and pipe quantities and thrust boring sites. With the site 1600km away from the nearest pipe supplier, this decision was critical to logistics planning. “Using 12d to design this solution saved more than $AUD2million in capital costs for the project.” The storm water drainage design was independently verified. Diversion drains were mapped in 12d Model using the HEC RAS writer. Importing the water surfaces from HEC RAS to 12d Model was used to then calculate tail water conditions.